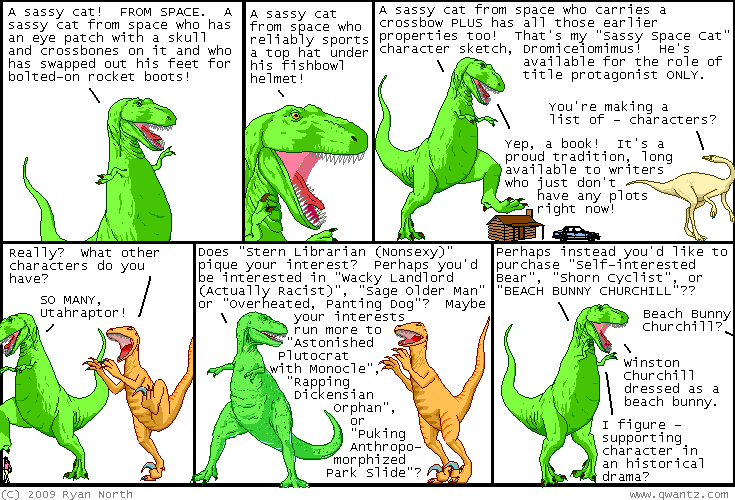 Dinosaur Comics - July 15th, 2009 - awesome fun times! July 15th, 2009: You know who hasn't linked to Bellen? ME. This is something that I'm fixing right now! And here's a recent favourite. Enjoy!